A LIMOUSINE (or limo) is a luxury sedan or saloon car generally driven by a chauffeur and with a partition between the driver and the passenger compartment. Limousines often have a lengthened wheelbase. In modern use, a limousine is a luxury sedan or saloon car, especially one with a lengthened wheelbase or driven by a chauffeur. The chassis of a limousine may have been extended by the manufacturer or by an independent coachbuilder. These are called "stretch" limousines and are traditionally black or white. Limousines are usually liveried vehicles, driven by professional chauffeurs. As the most expensive form of automobile ground transportation, limousines are culturally associated with wealth or power and are commonly cited as examples of conspicuous consumption. Among the less wealthy, limousines are often hired during special events (most commonly weddings, proms, and bachelor parties). HOTWIRE - since 2000. Travel website that offers airline tickets, hotel rooms, rental cars, and vacation packages. How Uber conquers a city in seven steps - The Guardian. Uber vs. Lyft: Which Ride-Hailing App Is Better? - "Here’s a comprehensive comparison of the two services to help you choose your go-to app for hitching rides." Backlane - "Limousine Service in Dubai." Founded in 2011, provides professional ground transportation in over 50 countries around the world. It combines the highest reliability and service level at a fixed, all-inclusive price. Connection Chauffeur - since 2009. "Luxury Rental Made Simple." Offers top of the range fleet including stretch limos, driven by experienced chauffeurs. We offer luxury/economy chauffeur drive, stretch limos, executive transfers, airport transfer, yacht charter etc. We cover Dubai and Abu Dhabi. Blacklane - since 2011. "Limousine Service in Paris." Limo4Paris - since 2009. "Ride in Style." Our mission is to deliver exceptional chauffeured transportation services at the most competitive prices, without compromising our commitment to professional ethics and integrity. EDEL & STARK - since 2006. "Wide range of luxury cars - we have something for every taste. Rent with us the most luxurious car brands in the world. Whether Lamborghini, Ferrari, Aston Martin, Maserati, Bentley, McLaren, Porsche, Rolls Royce, Jaguar, Mercedes Benz or BMW, we deliver each car wherever you want all over Europe." ITALIAN LIMOUSINE NETWORK - since 1998. "Worldwide chaffeured service." Cristal Limousine Service - since 2010. "The Premier Monaco Limo Service." Limousine Service Monaco - since 2013. "A premium limousine service in Monaco." Sixt mydriver provides a professional, easy to use limousine service in Monaco that will allow any visitors to get around in style. Booking with us is simple. When you need to make a journey, just log on and enter your pick-up point and destination. We will provide an instant quote, and always offer affordable prices for any journey in the city. Monaco Limousine Service - since 1996. 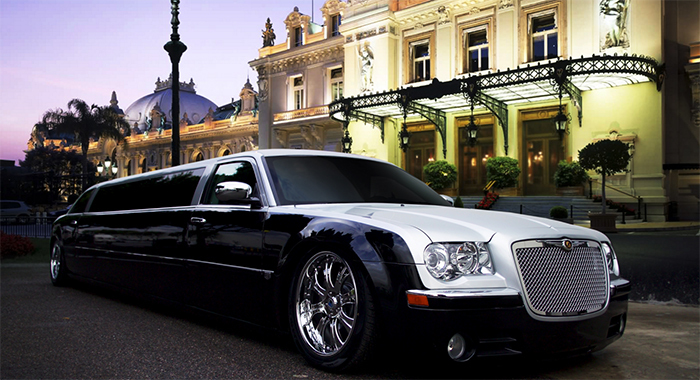 "Limousine and Chauffeur Services in Monaco." Monaco Prestige Limousines - since 1998. "Chauffeured car rental in Monaco & The French Riviera." Since many years, Monaco Prestige Limousines provides luxury chauffeured transportation 24 hours a day, 7 days a week: from airport transfer to on-call tailored service operating day and night in Monaco, the French Riviera, and other destinations. COMPARE CHEAP CAR HIRE - since 2008. "We search and Compare over 40 Car Hire companies to Get You the Cheapest Price." DREAM CAR HIRE - since 2006. "From the latest Lamborghini or Ferrari, to the most exclusive Range Rover, we have them all for hire: Aston Martin, Audi, Bentley, BMW, Ferrari, Jaguar, Lamborghini, Masserati, Mercedes, Porsche, Range Rover." Empire Luxury Club - since 2009. "Rent Luxury & Sports Cars. Wherever You Go." Choose a car of your dreams and enjoy the ride across Europe, United States and Emirates with Empire Luxury Club. holders prestige & performance car hire - since 2006. "Prestige & Performance Car Specialists. Aston Martin, Bentley, Ferrari, Lamborghini, Maserati, McLaren, Porsche & Rolls Royce car hire & leasing. AJ Prestige NYC Limo - since 2007. "Book airport transport, personal or business travel from finest NYC luxury car service." Premium New York Limousine Service JFK, LGA & EWR. Elite Limousine - since 2007. "Elite Limousine helps you plan your travel anywhere in the San Francisco Bay area, from business to vineyards to special events. Call Elite Limousine today!" Our experience in Wine Country Tours presents our customers with extensive resources to plan first-rate experiences in Napa Valley, Sonoma, Russian River Valley, and Livermore wineries. GroundLink - since 2003. "On Time Every Time." Worldwide Car Service & On Time Airport Pickup Service. JOHN F. KENNEDY INTERNATIONAL AIRPORT LIMOUSINE & CAR SERVICE - since 2003. The nations leading international airport, JFK has more than 80 airlines operating out of its terminals. Traveling to JFK airport for the first time can be confusing, the airport has 8 terminals for national and international airlines as well as a private airline terminal. Our professional Chauffeurs and phone operators are thoroughly trained to ensure a comfortable, efficient, and effortless ride. LIMOS.COM - since 2008. "Your Limo and Private Car Marketplace." Gives customers seeking limo service or chauffeured ground transportation the inside track to the best limo pricing and discounts from the best limousine services in the world. NYC LIMOUSINE - "NYC Limousine was founded with the mission of providing first-class chauffeured transportation with value-based pricing and skillful customer service." For all of your New York limousine needs. Whether you need a ride to JFK Airport, LaGuardia Airport or Newark Airport, or want to enjoy dinner in Manhattan and a Broadway show, we can provide you with a late model, luxury limousine and professional chauffeur to take you where you want to go. ROYAL LUXURY LIMOUSINE - since 1998. "New York limousine rental for any occasion: weddings, proms, special events, celebrity transportation, birthdays, bachelorette specials, city tours. We specialize in Exotic Jet Door limousine rental in NY and surround areas." Twin Cities Car Service - since 1962. "Professional Limousine Transportation Services Minneapolis St.Paul International Airport." Our Minneapolis limo service provides affordable MSP Airport Limousine Services for business, frequent travelers and families. Airport Car Service will get you to the airport or destination on-time.